Essential oils are the oil-based aromatic extracts derived from the leaves, stems, fruit, bark, flowers, roots, or seeds of plants. They are a highly concentrated form of volatile oils — another name for essential oils — and have many beneficial properties. Historians estimate that humans have been using essential oils for 5,000 to 6,000 years for medicinal, cosmetic, and hygienic purposes. The earliest methods and technology did not produce the essential oils we are familiar with today. Whereas many of today’s essential oil producers focus on purity, the ancient versions were likely adulterated with stray plant materials, debris, and other oils. As time passed, extraction methods and technology improved. Let's look more at how essential oils are created and the many ways they can be used. 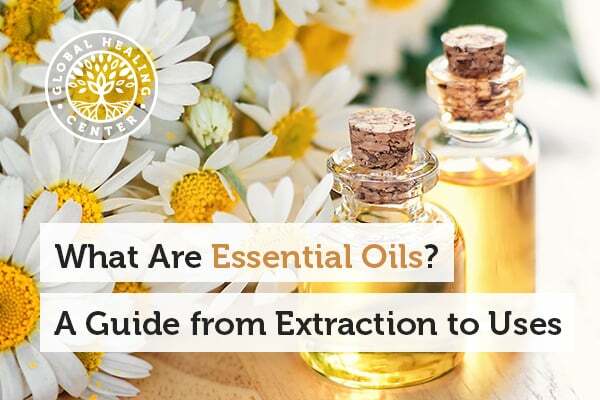 There are a few ways to create essential oils, and the ideal extraction process is determined by the oil’s source and how well its phytoconstituents respond to extraction. Distillation and using solvents are the most popular ways to extract essential oils. Plants or oils that are too delicate for distillation must be expressed, mechanically crushed, or extracted using solvents. Others, like whole citrus fruits, may be mechanically rolled over needles that puncture and release essential oils, a process known as the ecuelle or scarification method. When using the distillation method, there are three distinct ways to obtain oils: water distillation, water and steam distillation, and steam distillation. Pure steam distillation is the most gentle of the distillation extraction methods. In water distillation, the plant material is boiled, and the essential oils are decanted off the water. Water-steam distillation involves both boiling and steaming the plant material. Steam distillation takes place in a still. If the essential oils are processed fresh, this typically takes place in or near the same field from which the plant is harvested to preserve the delicate phytochemicals. The heat from the still forces the plant matter to release its oils at the lowest temperature possible to prevent burning or denaturing the more fragile phytochemicals. The steam carries the essential oils through the equipment to condense in another section of the still with the water. The essential oils are poured off the top of this water. This water, called hydrosol, contains the water-soluble, aromatic phytoconstituents of the plant. Hydrosols are often used in cosmetics for their more subtle aroma and gentle, beneficial effects on the skin. Enfleurage is an old, tedious, and expensive method of collecting essential oils. Historically, essential oil producers used it for fragile plant sources, such as jasmine flowers, that couldn’t tolerate more aggressive extraction methods. The process involves gently placing flowers on top of a fatty medium, either a scent-free vegetable oil or lard, so that the volatile oils would transfer into the fat. These flowers were continually and regularly replaced on the surface of the medium until it was thoroughly imbued with the desired oils. Once completed, the producer would use alcohol to separate the essential oil from the fatty medium by allowing the alcohol to evaporate away. A relatively new technology for extracting essential oils is called supercritical CO2 extraction. This method applies high barometric pressure under specific temperature conditions to release the oil from its source. Liquid CO2 is used as a solvent and poured over the plant matter to release the essential oils. Sometimes ethanol is added to this process. Afterward, the CO2 (or ethanol) evaporates, and only the essential oil remains. Alcohol tinctures are another method of extraction that uses ethanol to release essential oils. The plant matter is submerged in alcohol, and the volatile oils of the plant are extracted by the ethanol. One potential downside of these tinctures is that they contain as much as 60-90% alcohol, and may not be an appropriate choice for everyone. The best quality essential oils are 100% pure, organically grown, and minimally processed. Many phytochemicals are sensitive to heat, light, and harsh chemical solvents, so they must be handled gently to retain the full spectrum of their beneficial constituents. If an essential oil provider doesn’t openly explain how they extract their oils, consider a different brand. Though the scientific community is skeptical, some aromatherapists ascribe to an idea called an energy signature. They believe that living beings resonate at a particular frequency and life experiences, or processes in the case of essential oils, change the speed at which their molecules vibrate. This energetic signature is what they believe provides the many health benefits of essential oils. Essential oils do much more than just smell nice; they have a variety of health-promoting and helpful uses. 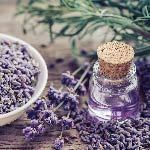 Try essential oils the next time you want to soothe a headache, reinvigorate your mind, calm frayed nerves, or any of the other uses for essential oils listed below. Shower mold is unsightly and unhealthy. To get rid of it, liberally sprinkle eucalyptus oil on any areas that have darkened, especially grout or the tracks of sliding shower doors. You can also apply to stubborn spots with a cotton swab. 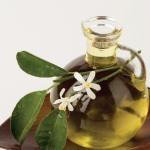 There are several skin care benefits that essential oils provide. Patchouli and clary sage slow skin aging and increase cell turnover to reveal fresh, glowing skin. Orange oil revitalizes aging skin by promoting collagen production, just like the vitamin C in the whole orange. Essential oils are well known for their ability to improve mood. Lavender is thought to be so effective at reducing feelings of anxiety that it’s encapsulated and taken orally by some people. 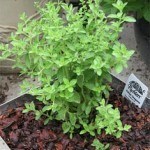 Diffuse oregano, basil, black pepper, and cedarwood in a humidifier to create a calming home or work environment. Add a few drops of lavender, lemon balm, jasmine, or chamomile to your next hour-long soak. Drop the oil on your bath salts, on your bath bomb, or add it directly to the water. Boost the efficacy of your foot bath by resting tired feet and killing fungi. If you're prone to urinary tract discomfort, using bergamot oil in the bath helps keep your bladder and kidneys healthy. To deepen your meditation practice, inhale the vapors of benzoin and cypress oil. It can help increase your focus and turn your thoughts inward. Peppermint, lemongrass, basil, and eucalyptus are natural insect deterrents. Either diffuse the oils to deter mosquitos, or use a mixture of the essential oil in vegetable glycerin and water and spray lightly on clothing. Just make sure to shake well first. There are many ways that essential oils can help relieve gastric upset like bloating and gas. 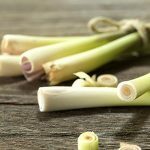 Lemongrass relieves gas and helps your body recover from stomach distress. For indigestion, dab a dry mint with peppermint oil. After letting it soak in thoroughly, quickly crunch the mint and swallow. For heartburn, use the same method but with chamomile oil. To relieve gas, stimulate appetite or prevent constipation, try basil, black pepper, or coriander oil. To stimulate your body's natural cleansing abilities, dilute 3 drops of fennel oil into a teaspoon of olive or flax oil and swallow. Peppermint has long been used to quell nausea, and it’s an effective non-pharmaceutical option for people undergoing aggressive medical therapies, but there’s no scientific evidence it helps with morning sickness. You can also try inhaling the scent of ginger, peppermint, or coriander. Many OTC medicines contain chemicals that help loosen thick phlegm (so you expel it), but there are several natural ways to break through chest congestion. Use your humidifier to moisten dry air and diffuse the vapors of essential oils like benzoin, cedarwood, Manila elemi and eucalyptus to loosen phlegm and make your coughs more productive. Some essential oil producers intentionally dilute their oils to make them safer for consumer use or to lower the price of extremely expensive oils like neroli. Make sure to buy your essential oils from organic sources and check to see that they are of high-quality if you intend to use them pure. If you’re not yet ready to try using pure or undiluted essential oils, you can always try products that contain them — there’s no shortage of options. Parfait Visage® features a blend of essential oils, each selected to promote beautiful, radiant-looking skin. Have you tried essential oils in your skincare routine? Tell us about it in the comments! "Aromatherapy." University of Maryland Medical Center. University of Maryland Medical Center, 1997. Web. 30 Jan. 2017. "EXTRACTION METHODS OF NATURAL ESSENTIAL OILS." N.p. : Tamil Nadu Agricultural University, 2012. Web. 30 Jan. 2017. Wilson, Roberta. "The Essential Guide to Essential Oils: The Secret to Vibrant Health and Beauty." United States: Avery Publishing Group Inc.,U.S., 2016. Print. "How Are Essential Oils Extracted?" National Association of Holistic Aromatherapy. 2017. Web. 30 Jan. 2017. Rhind, Jennifer Peace, and David Pirie. "Essential Oils: A Handbook for Aromatherapy Practice." N.p. : Singing Dragon, 2012. Print.